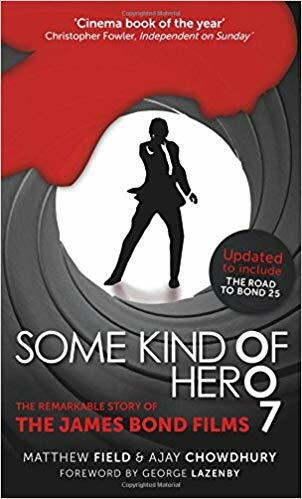 The blog ordered the updated edition of Some Kind of Hero by Matthew Field and Ajay Chowdhury, an extensive look at the 007 film series. 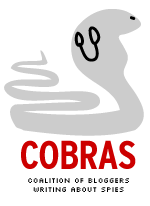 What follows are some tidbits since the original 2015 edition. The book has an expanded chapter on SPECTRE, plus a new chapter about the preliminary development of Bond 25. Sony Pictures, which distributed and co-financed Skyfall and SPECTRE had told movie theater executives that Bond 24 (later titled SPECTRE) would be out in 2014. Barbara Broccoli, Eon’s boss, and star Daniel Craig shot down that idea in interviews during publicity for Skyfall. After that, nobody talked about Bond 24/SPECTRE having a 2014 release. –SPECTRE received $14 million in Mexican tax incentives. Among the conditions: The sequence filmed in Mexico had to have a Mexican Bond girl, a non-Mexican Bond villain and the target of an assassination plot had to be “a local governor and not an ambassador.” The authors, in a footnote, cited a 2015 article from http://www.taxanalysts.org as their source of the information. Because of publication deadlines, the book’s Bond 25 chapter includes Danny Boyle being hired as director but doesn’t include his exit because of “creative differences.” Cary Fukanaga was hired to replace Boyle, with the release date pushed back to February 2020. Obviously, there is more fodder for future editions. The updates also include, understandably, a new Roger Moore chapter following the death of the seven-time 007 in 2017.